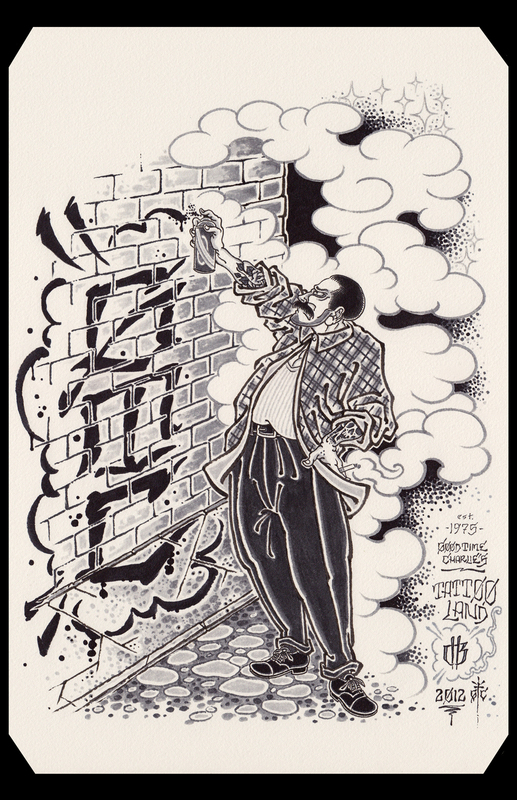 Tattoos and the stories they convey have persevered through adversity, misconception, and discrimination throughout history. I feel that, in part, tattoos have flourished as a result of generations of storytelling, traditions, and re-appropriation by new groups in society. 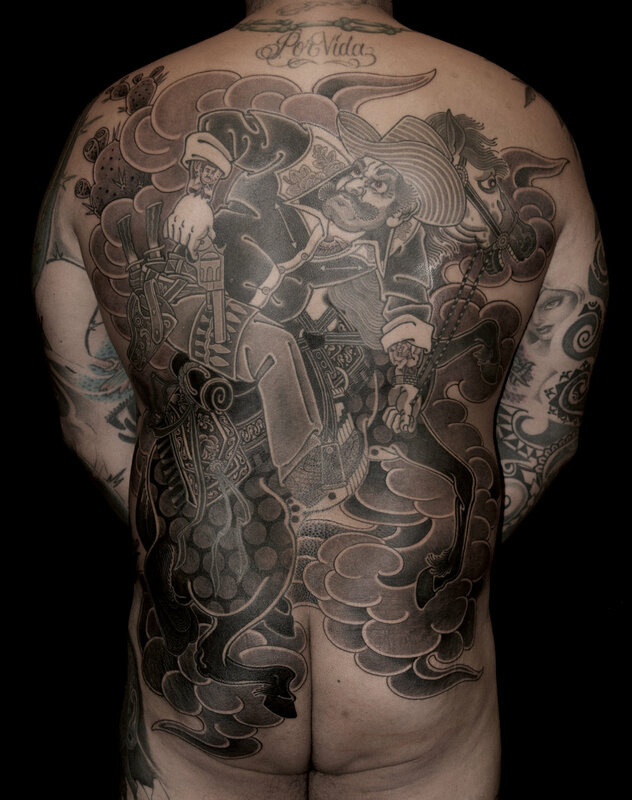 My personal endeavor in tattooing focuses on retelling the stories of the classic 14th century Chinese novel Shuihu Zhuan (Water Margin, also known as Suikoden in Japanese), in the timeline and context of 1980's Los Angeles. 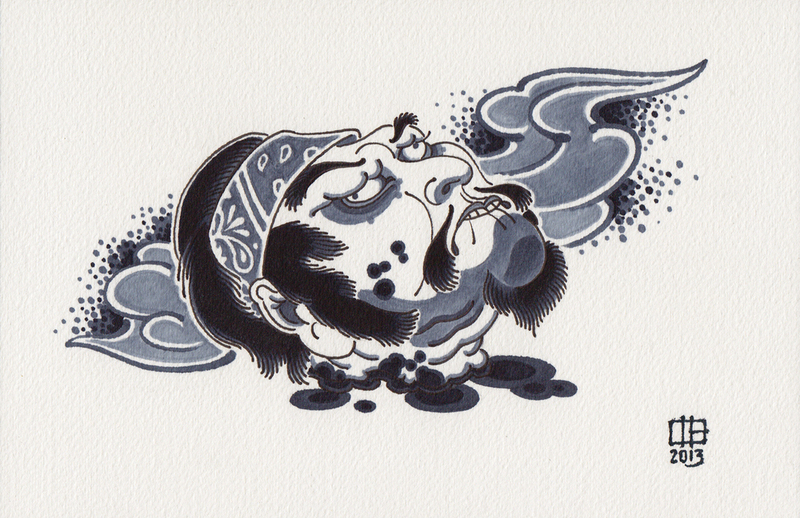 The original tale of a group of outlaw brigands fighting a corrupt government struck a nerve with the Japanese public in the Edo Period (1600-1867 CE) and due to its elaborate illustrations, became part of the Japanese tattoo craze of that era. 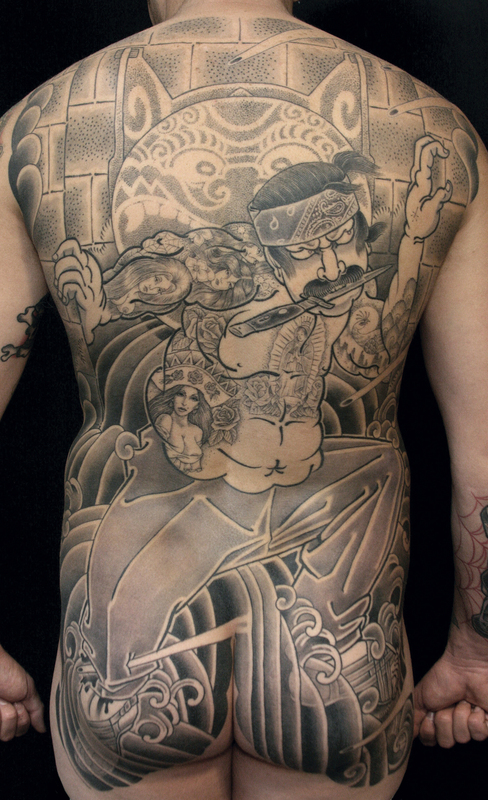 I found that many of the themes that the Japanese so readily accepted and related to were easily applicable and similar to Chicano history and Chicano tattoo culture. I also feel there is a strong connection between Japan and the West Coast of the United States. As an American living in Los Angeles, this concept of finding common ground in differing cultures is part of daily life. 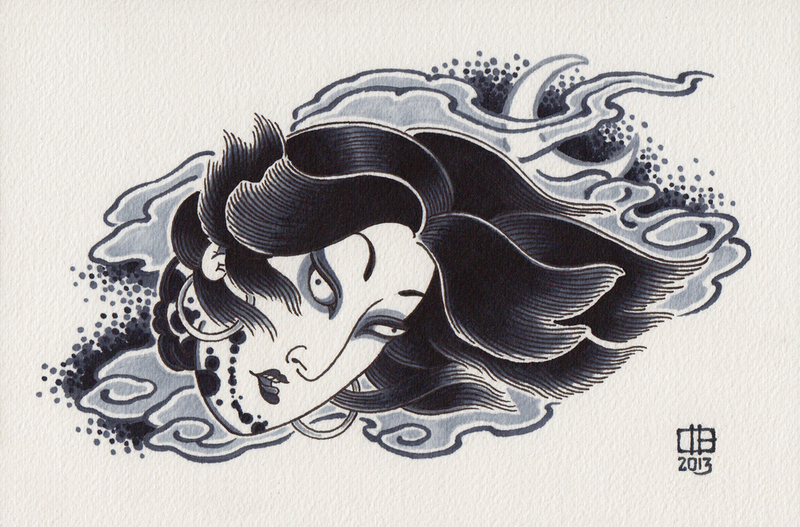 This connection has become part of a larger global phenomenon: that of people being brought together through the art of the tattoo. All images Copyright 1996—2018 Christopher D. Brand, unless otherwise noted.